So apparently clicking 'save as' then saving to a folder is somehow less hassle than priniting off to paper, the taking paper and placing in a real physical folder. It is for me, as you have to think about which folder to put it on the computer. With invoices, I just press teh print button when I get it, put it in a invocies tray to reconcile later on, to make sure I haven't been double billed etc. So all the invoices for that month I physically check against bank statement, which is really easy when it is on paper and they are in order. Then when I get around to it I file the invoices in date order in a folder. That would be quite a hassle to do if doing to if they were all stored in folders. Although I do still do get quite a lot of paper invoices, so you also don't want half and half when reconciling them. Maybe people don't check their invoices against their bank statement these days to make sure there haven't been billing errors? I have a disabled relative with no computer and unable to use one. Axing paper bills means that I will have to then take over checking her bill each month and storing them as well as my own bills. I will have to back them up as well or print out, thereby using my own time, my own toner and paper and my own storage media. If my relative wants paper bills I will have to pay for postage as well to send them to her from the North Is to the South Is. I demand a discount on both of our bills for providing these unpaid services to a huge corporation that can perfectly well afford to mail out paper bills. With no paper bill, how many bills will not get paid by those who don't have direct debit set up or internet payments? It is bad enough that I can't get access to My Telecom if I want a paper bill, let alone to now be charged for paper bills. Unacceptable! My understanding of this is that you can still get paper bills at no cost. However if you are registered to receive your bill online, and you then decide you want a paper copy as well, then you pay. richms: Emails with links to download are where I draw the line. It should arrive without any action on my part. How do you get around the potential email problems of random bounces, server crashes, client crashes, over-enthusiastic spam filtering, (un)privacy, etc? I don't want to receive an invoice by email if there's the chance of me not seeing it and the chance of some punitive overreaction from the sender. riahon: My understanding of this is that you can still get paper bills at no cost. However if you are registered to receive your bill online, and you then decide you want a paper copy as well, then you pay. And the only way to check your internet usuage is to register to mytelecom. So if you don't register the only other way to find out how much data used is to ring them up. Wonder how long before they charge to ring 123 etc oops hope I haven't given them ideas. Edit: I just checked mytelecom and my one is still set to recieve a paper copy, so looks like still coming in mail, otherwise I have to ring up to cancel the mytelecom registration if it doesn't. You do not pay for bills to be sent. If you register for MyTelecom online then you must have your bill online. There is no option to have a paper bill any longer. If you wish to have a paper bill then you may receive it as per normal but you cannot use MyTelecom, as I have said before, people without internet access will still get their bills. Just recieved email from telecom. If for any reason you need a paper bill, we can arrange that for you. Simply call our team on 0800 803 892 to get it sorted. But please note that there may be a charge for this service in the future and you won’t be able to keep using MyTelecom if you choose a paper bill. I told them if they charge for sending bill in future all my bussiness with them will be canceled. The person on the phone said that the finance department will be implenting charging in the future. Lose up to $1000 revenue a year cause the don't want to send out a bill, great business sense. I told them that need bill to pay at post office, as they charge surcharge for credit cards. They tried to argue that one saying some power companies charge surcharge as well, I then pointed out that I con't do bussiness with those companies either. Oh well, see what happens but maybe time to say goodbye telecom, in my view the company seems to be getting arrogant towards it's customers. He also told me there's another way to check usuage without mytelecom, haven't tried it yet. I'll hold out for now to see if they start charging. rugrat: Just recieved email from telecom. I recall at least 5 years ago, if you opted into using the mytelecom service, it automatically stopped your paper bills. I know, because I signed up to Mytelecom, and my parents then stopped receiving bills. They were not happy at all, so I got telecom to cancel the mytelecom service, and the paper bills started again. I don't believe at that stage you could have both. The new version seems to now allow them to continue to mail out bills, and the paper bills they now send you have 'copy' on them. I don't have that much of a problem if they stop paper bills, as long as they pass the saving onto the customer, as the customer has to either print them, or store thm electronically. It is a bit like not receiving bank statements in the post. I still have to print them out, as I like working from paper when reconciling accounts, as far easier on the eyes, than a screen. I don't think banks pass on the savings they make. You don't sell this as a pay extra for paper bills, you incentivise it as a "get a discount for getting your bill emailed or online"
The current billing costs are built into the price, telling customers that they must pay extra for something they get now as an included cost will always get their backs up. I'm surprised it took me so long to get into this thread since this is what we do day-in-day-out. To confirm there is no legal requirement to retain paper bills. IRD rules stipulate 7 years of records which are held in NZ. Xero has an obvious problem here since they store the data outside of NZ but they have recently got special dispensation to do so. Doesn't matter if they are paper or digital. if you are a government organization I believe you must meet the public records act 2005 which ahs certain rules like minimum DPI, colour representation etc. too. For the end user email is usually better than snail mail as they can setup an email address likes accountspayable@orgname.co.nz which gets forward directly to us, we capture all the information automatically and put it in their accounting system. There is still a lot of paper which is a hassle for the user since they need to do scan to email or the like from their MFD. So yes I would strongly support the invoice arriving via email rather than paper. However a link is in no way acceptable as you never know if it will go down (which it most likely will in 7 years time). For those cases they need to be opened and saved to PDF or printed which are both a pain. tardtasticx: Surely if you can no longer factor the cost of an invoice into your pricing, then something is wrong with your budget. I doubt printing prices have soared that high in the recent years. Printing black and white may not have...but with the addition of colour. Also the cost of mailing has been increasing. Why should people that dont want paper waste sent to them have to prop up those that do? IMO not charging for paper billing is unfair. How are people not wanting paper up promting people that do want paper? The only ones benefiting are telecom, they're not passing on any cost savings to customers that don't want paper, it's the same price weather you get paper or not. I.e price should be lower then is now for those not wanting paper, not extra charge for those wanting. It's because of telecoms actions I now require paper, didn't need it when charged to credit card, and I perfer to have all my payments for different companies on same bill, means only one withdrawel from bank account once a month. 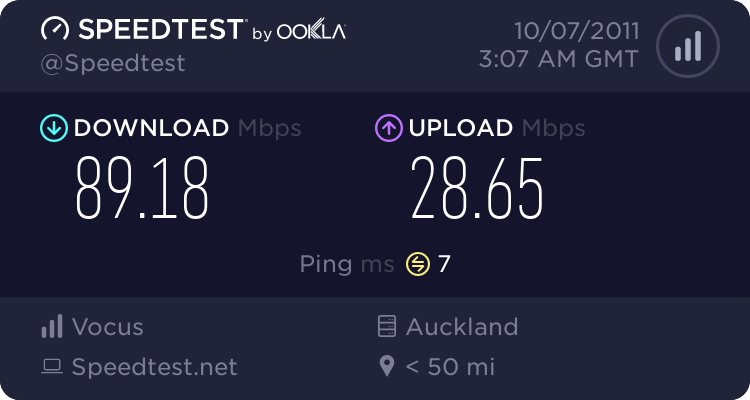 I looked at other isps and even at $75 a month they give more data then telecom, it's just the hassle of changing, but will go through the hassle if bill charging goes ahead, to an isp that doesn't punish for paying by credit card which I think is any that's not telecom. If people want their reciepts when the buy something at a shop, guess by that logic price of paper should be added to bill.